2019 PSA Video featuring our Church and School during several portions. A timeline is being formed for our restrooms along with the other projects thanks to the sacrificial gifts made by 489 that have made a pledge. 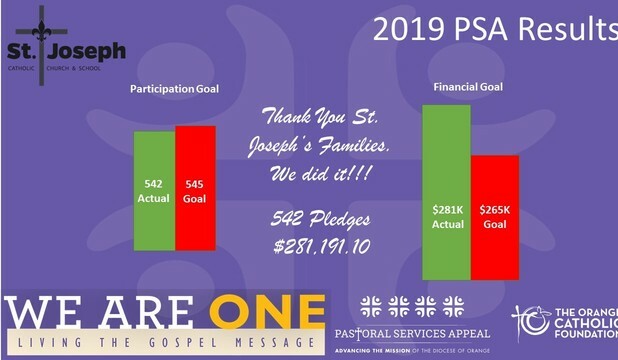 We are 109 pledges and $29,912 from meeting our Parish Goal! WOW!!! We are making progress. 387 Pledges in 3 weeks totaling $208,300.